So far we’ve gathered that the level of activity in our Nucleus Accumbens shows our predicted values. But can this can lead to actual financial decisions? 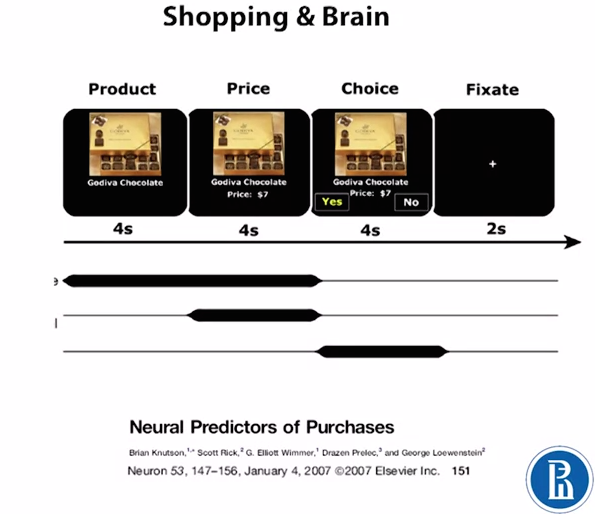 Can we predict a person’s decision to buy a product based on their brain activity? And so our brain buzzes with excitement, and this activity in the Nucleus Accumbens, leading to a purchase of the chocolate bar. Conversely, when people don’t buy it, the activity is less – as seen below. We’re just not so buzzed to pay the cash for the reward. 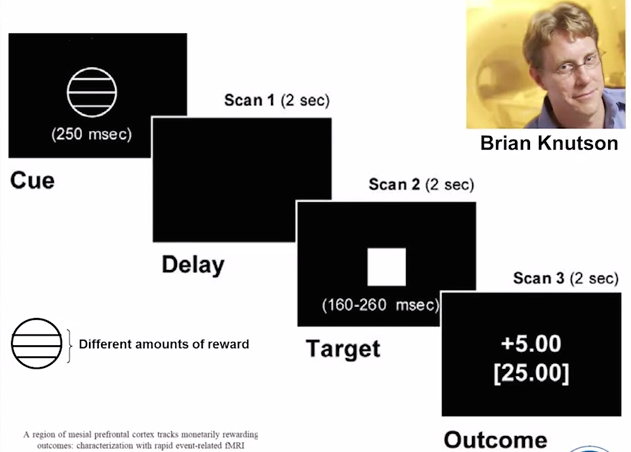 In Brian Knutson’s study using fMRI to predict financial choices, subjects were asked to press a buzzer when they saw a cue in order to receive money. When that monetary figure was $5, the subject’s neurons fired more, but when it was $1, it fired less. 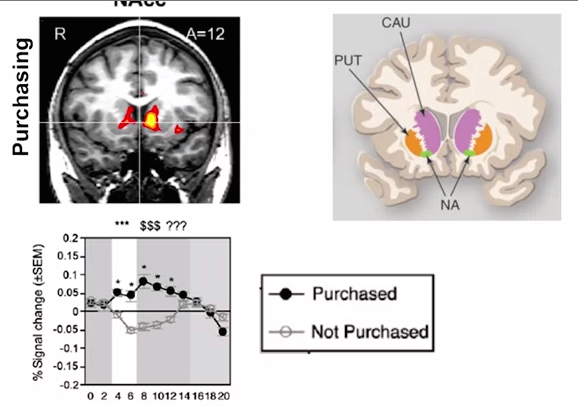 So when the person expected to get more money, the brain showed activity related to what anticipated gain they thought they would get. Most interesting was that the neurons firing was actually strongest before the actual outcome – i.e. in the anticipation of it. So it seems we can’t quite help but buy that little black dress, great-smelling cake, refreshing cocktail or any other pleasurable experience we’ve had before. We’re hard wired to prefer it, and act on that decision again. And again. And again.